Late last Friday afternoon, Wisconsin Right to Life (WRTL) -- an organization that has long hated any and all campaign finance reform -- filed a lawsuit in Federal Court to block and strike down part of the Impartial Justice Act- the new law that provides full public financing to qualifying candidates for the Wisconsin Supreme Court, that was signed by Governor Jim Doyle on December 1st. The suit alleges that the matching funds provision of the law - under which candidates who abide by spending limits would be eligible to receive a capped amount of matching funds if outside groups (like WRTL) spend against them or for their opponent - "chills" the speech of outside groups (like WRTL). We emphatically disagree with WRTL. The matching funds provision does nothing to prevent WRTL and other outside groups from spending and running their communications. It simply provides the target of their attacks with limited means to defend themselves so that the election is not completely dominated by the outside special interest groups (like WRTL). A similar provision was upheld by the courts in North Carolina, which also has a full public financing system (and matching funds) for state supreme court elections. Also today, failed 2009 Wisconsin Supreme Court candidate Randy Koschnick, together with the Virginia-based Center for Competitive Politics, a right-wing, anti-reform group, filed a lawsuit against the Impartial Justice law on even broader grounds than WRTL. To find out more, see: Koschnick suit challenges constitutionality of Impartial Justice. To read the complaint, go here. CC/WI is reviewing all the options available in defending this sweeping new campaign finance reform law against these vicious attacks. We are in touch with state and national legal experts and we will do all that we can to protect the integrity of Wisconsin's Impartial Justice Act -- the most significant and sweeping campaign finance reform to become law since 1977. As 2009 draws to an end, please consider making a contribution to support the work of Common Cause in Wisconsin. Your assistance, in any amount, would be welcome and needed. Please mail your check or credit card payment to the address below or call Jay Heck at 608/256-2686. To download a form to send with your donation, go here. Thanks and Happy Holidays and Happy New Year! When Justice David Prosser signed the letter from a then-unanimous Supreme Court endorsing full public funding of Supreme Court campaigns, he must have assumed that the funding would be somewhat north of the $400,000 that made it into the recently enacted law. The issue-ad issue was intentionally postponed for another day for fear that an impending U.S. Supreme Court decision could kill the whole bill if it was included. The money complaint, however, is somewhat disingenuous. It is a minor miracle that the Legislature came up with even that kind of money in these desperate fiscal times. This is a work in progress, this idea of fully funding campaigns with public money, and as, if, and when the state’s revenue streams get better more money may be available. For the nonce, however, these are the cards that have been dealt and Justice Prosser, who is up for re-election in 2011, is, as he says, the guinea pig for the whole concept of bringing campaign spending down to earth. This “guinea pig” campaign can develop in one of several ways. Prosser may run unopposed, which is not unusual for a sitting Supreme Court Justice, recent campaigns to the contrary notwithstanding. A free ride is less likely now that impartial justice is in effect, because the money barrier for challengers is less daunting. If a challenger appears and opts to take the public grant and Prosser does as well, both will have to run low media, high shoe leather campaigns consisting of face-to-face campaigning across the state to generate word of mouth support from thought leaders, lawyers, judges, and the like; visiting all the lives-at-five TV shows and other news outlets, up, or down, to and including the state’s weekly newspapers. As an incumbent who has been on a statewide ballot and has had 10 years to make the kinds of appearances and contacts that are the essence of shoe leather politics, Prosser would have a major advantage, if indeed he has used his incumbency energetically. If a challenger appears and opts out of the public grant which Prosser takes, the grant to Prosser will be increased to offset the challenger’s spending and the campaign will probably escalate to the media model created by Herb Kohl and emulated in whole or in part by everyone since he penetrated and blew away the dollar ceiling that tacitly but effectively restrained fund raising and spending in Wisconsin campaigns for anything and everything. If Prosser and the challenger do take the public grant an independent campaign could be mounted by a third-party organization. WEAC comes to mind. Whichever candidate is the victim of the third-party’s attacks would get a compensating grant to offset WEAC’s spending. If Prosser and the challenger do take the public grant they could come under attack in “phony” issue ads run by a third party of any description. WMC comes to mind. There is no provision in the impartial justice act to offset this kind of “free speech” spending by anyone. It is possible that the Legislature will pass either SB43 or AB63, which would reveal the names of the people who put up the money for these issue ads in hopes that this will deter this kind of spending, but will surely expose the source of the money for it. This, in turn, will answer at least the first part of the enemies strategy question. I know, I know, there is a sixth option. Prosser can take a pass on this first tiny, timid, tentative route that the Legislature has offered and opt for the status quo ante with its fundraising from unseemly sources, media-driven-deceptive advertising which has diminished the stature of the judiciary and its practitioners and made recusal a household world. Impartial justice is what is offered. If we get more civil political campaigns and more restrained spending then so much the better. Justice Prosser will determine whether what the Legislature has wrought is worthy of the name. One can only hope. On Tuesday, December 1st, Governor Jim Doyle signed into law the "Impartial Justice" legislation, that will provide full public financing to qualified candidates for the Wisconsin Supreme Court who agree to abide by a spending limit of $400,000 (for the primary and general elections). This is the most sweeping and significant campaign finance reform in Wisconsin since public financing was first established in 1977. We now join North Carolina and New Mexico as the only states to have enacted into law full public financing for state supreme court elections. For more on this momentous event, read the front-page article in the Milwaukee Journal Sentinel: Doyle signs high court election bill and in the The Badger Herald: Doyle signs bill for public financing of judicial races. Both articles contain commentary from Common Cause in Wisconsin (CC/WI). See also this editorial in The Capital Times: Reformers win a fight to clean up court races about the role of reform organizations and others in the battle for Impartial Justice. To listen to a recent CC/WI analysis of Impartial Justice on Wisconsin Public Radio, go here. As we have said repeatedly, passage and enactment into law of the "Impartial Justice" measure is not enough to clean up Wisconsin Supreme Court elections. The 2007 and 2008 Supreme Court elections were dominated by nasty, undisclosed, unregulated campaign communications masquerading as issue advocacy. The donors to these phony issue ads must be disclosed and the money used to pay for them must come from a regulated source. That said, the criticism from some that the Impartial Justice law doesn't address the phony issue ads is unjustified. Separate legislation to require the disclosure of the donors and regulation of the funding for sham issue advocacy in all Wisconsin elections (not just those for the state supreme court) will be considered after the United States Supreme Court renders a decision later this month (perhaps as early as next week) in a critical, landmark case: Citizens United v. Federal Election Commission which will provide guidance about what Wisconsin can and cannot do with regard to these phony issue ads - ads that have been a cancer on our statewide and legislative elections since 1996 and which dominated the 2007 and 2008 Wisconsin Supreme Court elections. It would have made no sense to tie the phony issue ad measure to the Impartial Justice bill because we do not know yet how the U.S. Supreme Court will decide on this matter. Pending in the Wisconsin Legislature is Senate Bill 43, a bipartisan proposal requiring disclosure of the donors and regulation of the money utilized by outside special interest groups that run widely-disseminated campaign communications masquerading as issue advocacy during the period of 60 days or less prior to an election. This electioneering disclosure and regulation legislation mirrors new rules approved by the state Government Accountability Board in November of 2008. An identical Assembly version of the legislation is Assembly Bill 63. Both measures are ready to be considered by the full Assembly and State Senate. Common Cause in Wisconsin (CC/WI), the first state reform organization to recognize the critical importance of this reform, proposed a version of this measure back in 1997 -- and has been leading the effort to get it enacted into law ever since. Depending on what the U.S. Supreme Court does this month, there will still be plenty of time to pass and enact into law Senate Bill 43/Assembly Bill 63 in January and in time to be in effect for the 2010 legislative and statewide elections. Wisconsin has hit a home run with the enactment into law of the Impartial Justice legislation. But to win the ball game, we need to shine light on the donors and regulate the money behind the plethora of campaign communications that masquerade as issue advocacy. There are enough votes to pass the Senate Bill 43/Assembly Bill 63 in the Wisconsin Legislature and Governor Doyle has promised to sign the measure. We just need to find out what the U.S. Supreme Court will do before we can act. Governor Doyle to sign Impartial Justice Bill on December 1st - Happy Thanksgiving! Common Cause in Wisconsin (CC/WI) has learned that Governor Jim Doyle will sign into law the Impartial Justice Bill - Assembly Bill 65/Senate Bill 40 - on Tuesday, December 1st. The Bill passed in both chambers of the Wisconsin Legislature with bipartisan support on November 5th and will provide full public financing for qualifying candidates for the Wisconsin Supreme Court who voluntarily agree to abide by a spending limit of $400,000. That is something to give thanks for tomorrow! The Governor's support and signing of the bill was never in doubt. However, certain technical corrections had to be made by the Governor's office in consultation with the legislative sponsors to ensure that the Impartial Justice legislation, as passed, does what it is supposed to do. CC/WI monitored this process and is satisfied that it has been accomplished. The Impartial Justice bill is the most significant, sweeping campaign finance reform to be passed and enacted into law in Wisconsin since 1977— when public financing was first established in the state. Special thanks go to the legislation's authors: Senator Pat Kreitlow (D-Chippewa Falls) and Representatives Gordon Hintz (D-Oshkosh) and Steve Hilgenberg (D-Dodgeville), as well as to Representative. Mark Pocan (D-Madison) and Senator Mark Miller (D-Madison) who steered it through the Joint Committee on Finance and secured the funding mechanism. Thanks go out to all of the other members of the State Senate and the Assembly who voted for the Impartial Justice measure. Special thanks also go to Senators Sheila Harsdorf (R-River Falls) and Dale Schultz (R-Richland Center) and State Representative Dean Kaufert (R-Neenah) for bucking their party leadership and voting for this significant campaign finance reform measure. They were brave and right to do so. Thanks too to Governor Doyle who has supported this particular reform since the beginning of his tenure in office in 2003 and who will sign the measure into law on Tuesday, December 1st. Most of all, thanks to all of the wonderful CC/WI members and other pro-reform citizens who contacted their legislators and, over time, made this reform become a reality! Already, an out-of-state anti-reform organization funded by entities who support the corrupt status quo are planning to sue to stop the Impartial Justice bill from being implemented. To hear CC/WI's take on this Virginia-based challenge to reform in Wisconsin go here. To all you many Wisconsinites who care about honest, accountable government and politics, savor this victory. You made it happen. There is an open seat in the race for governor of Wisconsin. The Democrats have arm wrestled the mayor of Milwaukee into running for a job he really doesn’t want over the dead bodies of most of the people in Milwaukee who want him to continue in the job he has. The principal reason for wanting him to stay, incidentally, is because there is no one in the wings in Milwaukee who they consider a worthy replacement. The Republicans are offering up a County Executive of a dysfunctional county and a former member of Congress who lost a long ago (in political terms) race for the U.S. Senate. The other candidates who have expressed an interest in running are unknowns who are being discouraged from doing so by the Republican powers who are also quietly trying to get Mark Neumann to drop his candidacy. The Journal Sentinel has already decided it’s a two-candidate race, discounting rumblings about Tommy Thompson from D.C. and Elroy. The stated reason that there is this remarkable paucity of candidates is that it will cost at least $12 million to win this election. This is certainly not an inconsequential barrier even if it’s only half true. The less obvious reason for the empty pipelines is that the unintended consequences of the Watergate reforms neutered the political parties. Before 1975 the political parties not only recruited, groomed, promoted, and slated full-fledged candidates for the top offices, they filled the slates down to county coroner to back up these selections. When a friend of mine who was a Republican county chairman told the state chairman that he didn’t think he would be able to find a candidate to run for the Assembly, a race anyone of that persuasion would surely lose in that county, he was told, “Either find a candidate or be the candidate.” He found a candidate; so did county chairs of both parties all over the state. This kind of activity filled the wannabe pipelines with seasoned, accomplished political leaders who would have been elbowing each other aside to run for governor in an open-seat year. The most important problem is neither of the above, although both of the above have contributed to it. I encountered an early form of this phenomenon in the late 1970s when I discovered that many of the state legislators from Milwaukee ran for those jobs not because they were ambitious for higher office, but because they were stepping stones to what they hoped would be successful campaigns for seats on the Milwaukee City Council or the Milwaukee County Board. They were looking for lifetime careers. At that time most legislators from other places were still hoping to rise to higher office, and indeed that Legislature produced candidates galore and several members of Congress, a U.S. Senator, a covey of governors and lieutenant governors, and even a couple of Supreme Court Justices. The incumbents in the state Legislature are, for the most part, in it for the job. They are settling in and careering out in what they hope will be safe seats; seats which they will not put at risk by proposing changes or ideas which endanger their chances for a long string of re-election victories. Every once in awhile a Mike Ellis makes noises about running for governor, and a Jon Erpenbach tosses a hat towards a ring or two, but these spasms quickly pass. The result is what used to be kind of a potentials pipeline is clogged by people who are not regarded as being upwardly mobile by either the voters or by themselves. Is the U.S. Congress any better or any different? The lines of challengers for the redistricting-protected incumbents don’t seem to be very long. Anybody up for a run against Russ or Herb? To paraphrase a Peter, Paul and Mary hit: Where did all the wannabes go? Two great political adages are at play in the prolonged, complicated, contentious attempt to put together a new health care system for this country. The first is that no one should have to witness sausage or legislation being made. The second is that when major, complicated legislation is in the making (which you shouldn’t have to witness) the important thing is to get Mathilda on the dance floor. Turf wars are what the health care bill is about, and it is a virtual golf course. For openers, health care spending is 17 percent of our gross national product. This means that people and companies who are in the health care business are getting paid that 17 percent. That is the status quo that is being protected by insurance companies that do the paperwork, doctors and their helpers who do the mostly fee-for-service healing, hospitals that house the ailing, drug and device manufacturers that provide the stuff of which medical miracles are composed, administrators and managers who orchestrate this melange, and a collection of bystanders and outsiders whose interests are improved or threatened by the health care system and practices. 1.) Insurers don’t belong at the table. 2.) Fee-for-service incentives rarely if ever lead to less of either. 3.) Physical facilities need to be kept full. 4.) Drug companies produce and promote the things they invent and sell; the cost of the former is irreducible; the cost of the latter is arguable. The outsiders are too numerous to list but a small sample is that the ideologues led by groups as diverse as the Catholic Bishops, the anti-immigrationists, and the free marketeers are weighing in on medical practice policy in ways and with demands that mostly make change almost impossible. With the lobbying costs running in the neighborhood of $4 million a day (an amount that is added to the “cost” of health care) and with the job protecting legislators being threatened or seduced by money and votes, it is impossible to produce anything approaching an ideal sausage out of the box. Which gets us to Mathilda. If anything is to happen, it is going to have to be imperfect, even a half measure. The judgment that will have to be made is whether what does come out of the box is better than the status quo ante. It is hard to believe that it will not improve on a health care system that costs twice as much as what is available in every other first-world nation and that delivers results that are no better than average and in many categories very much worse. So let’s take what we can get, and, over time, improve on and expand the inevitably flawed sausage that is being assembled. We couldn’t do worse. We can get a small or even a significant step in the direction of lower costs and better results, and once on that path we can do better and better and better. We will probably never get the kind of perfection the purists insist on. As for me, I’ll settle for, at long last, getting Mathilda on the dance floor. The Impartial Justice legislation that was passed in the closing hours of the recent fall legislation session is the first attempt in 30+ years to clean up and contain campaign spending. It has the virtue of being attacked from both sides. Those who like the status quo think it goes too far. The all-or-nothing reformers don’t think it goes far enough. The latter group contend that the spending limits and public funding award are not big enough to run a statewide campaign. It is inarguable that they aren’t big enough for the kind of full-blown, TV-based campaign to which we have recently been subjected. But if both candidates conform to the limits, it is enough to run the more traditional word-of-mouth, face-to-face judicial contest and spare us all a repeat of the recent atrocities. The more serious criticism of the bill is that it doesn't deal with the issue ads that have recently become prominent in Supreme Court elections. The authors of the bill took a pass on putting an issue ad disincentive into it to accompany the millionaire and parallel campaign disincentives that were included is the U.S. Supreme Court. The court is pondering a decision which could make issue ad inhibition unconstitutional. If they rule the way they seem to be leaning, the whole Impartial Justice bill would be voided. This is not a risk the reformers are willing to take after decades of no action. They point out that if the Supreme Court surprises us there is a full disclosure bill in the wings which could be enacted quickly to expose and discourage the people who are paying for issue ads. The other thing that makes this shortcoming less threatening is that WMC, one of the issue-ad wielders in recent years has already backed away from participation in supreme court races. And WEAC has said they would if WMC would. That does leave the semi-anonymous organizations with secret funders and apple pie and motherhood names free to perpetrate their mischief. Any campaigner worth his or her salt would love to be attacked by these kinds of organizations. It gives the “victimized” candidate the opportunity to ask, “Who are these people and why are they saying these nasty things about me?” and to suggest that something unseemly is being bought here. The side effect of over-the-top issue ads is the opportunity they present to make a low-profile beauty contest into an issue campaign with the campaign itself and its questionable interlopers being the issue. And, finally, the Impartial Justice proposal, if it works as hoped, can be a good example for the partisans who are addicted to the egregious campaign system which they hate and believe they can't live without. If public funding and spending limits work here, they can work anywhere. "Impartial Justice" Supreme Court Reform Measure Passes Full Legislature and Now Goes to Governor Doyle - Who Says He Will Sign it Into Law! Now Goes to Governor - Who Says He Will Sign It into Law! The "Impartial Justice" State Supreme Court campaign finance reform measure Assembly Bill 65/Senate Bill 40 passed Thursday evening in the Wisconsin Assembly on a 51-42 vote after passing earlier today on a bipartisan 19-13 vote in the State Senate - on the last day of the Fall legislative session. The legislation -- the most significant and sweeping campaign finance reform measure since the late 1970's in Wisconsin -- now goes to Governor Jim Doyle who has said he will sign it into law. Wisconsin will soon join North Carolina and New Mexico in putting into effect a "clean" money system of full public financing for candidates for the State Supreme Court who agree to abide by sensible spending limits which in Wisconsin will be $100,000 for the primary election and $300,000 for the general election. High court candidates who abide by the limits will be eligible to receive additional publicly- financed grants if their opponent exceeds the spending limits and if outside special interest groups spend above a certain threshold against them or in favor of their opponent. After the the last three high spending, expensive and nasty elections for the State Supreme Court in Wisconsin in 2007, 2008 and to a lesser degree - 2009, this measure was much needed to begin to restore public confidence in the once revered Wisconsin Supreme Court. As we have said repeatedly, passage and enactment into law of the "Impartial Justice" measure is not enough to clean up Wisconsin Supreme Court elections. The 2007 and 2008 Supreme Court elections were dominated by nasty, undisclosed. unregulated campaign communications masquerading as issue advocacy. The donors to these phony issue ads must be disclosed and the money used to pay for them must come from a regulated source. Only then will elections for Wisconsin's highest court return to some level of sanity and civility. Pending is Senate Bill 43, a bipartisan proposal requiring disclosure of the donors and regulation of the money utilized by outside special interest groups that run widely-disseminated campaign communications masquerading as issue advocacy during the period of 60 days or less prior to an election. This electioneering disclosure and regulation legislation mirrors new rules approved by the state Government Accountability Board in November of 2008. An identical Assembly version of the legislation is Assembly Bill 63. Both measures are ready to be considered by the full Assembly and State Senate. Common Cause in Wisconsin (CC/WI), the first state reform organization to recognize the critical importance of this reform, proposed a version of this measure back in 1997 -- and has been leading the effort to get it enacted into law ever since. If we ever hope to have a State Supreme Court truly free from the influence of campaign contributions and outside special interest spending, we must see to it that this measure is passed and enacted into law. During the week of November 16th, the United States Supreme Court is expected to render a decision in a landmark case Citizens United v. Federal Election Commission that will provide clearer guidance about what the Wisconsin Legislature can and cannot do in requiring the disclosure and regulation of phony issue ads. But in the meantime, today's votes in the State Senate and the Assembly in favor of "Impartial Justice" is an important first step toward cleaning up Wisconsin's Supreme Court elections and ensuring that our elected justices are beholden only to the people and not to campaign contributors and outside special interest groups..
Today's votes in the State Senate and the Assembly in favor of "Impartial Justice" are an important first step toward that goal. "Impartial Justice": State Supreme Court Public Financing Legislation Now Ready for Vote in full Legislature This Week! VOTE BY FINAL LEGISLATURE EXPECTED THURDAY - URGE YOUR LEGISLATORS TO VOTE FOR REFORM! The Fall legislative floor session is scheduled to end this week. This session will be the last opportunity this year for the Wisconsin Assembly and State Senate to vote on a major campaign finance reform measure -- which is now waiting to be scheduled by the legislative leadership and ought to be passed and signed into law before Thanksgiving. Today, the Legislature's Joint Committee on Finance voted 11 to 4 to pass the so-called "Impartial Justice" legislation: Assembly Bill 65 and Senate Bill 40 -- identical measures that would provide full public financing for qualifying candidates for the Wisconsin Supreme Court who voluntarily agree to abide by a spending limit of $400,000. It is now ready and available for scheduling by the legislative leadership for votes in the full Assembly and State Senate - where it ought to pass and then go Governor Jim Doyle, who has said Monday that he will sign it into law. In the Joint Committee on Finance today, those voting for the Impartial Justice legislation were: State Senators Mark Miller (D-Monona), Dave Hansen (D-Green Bay), Lena Taylor (D-Milwaukee), John Lehman (D-Racine), Julie Lassa (D-Stevens Point) and State Representatives: Mark Pocan (D-Madison), Pedro Colon (D-Milwaukee), Cory Mason (D-Racine), Jennifer Shilling (D-LaCrosse), Gary Sherman (D-Port Wing) and Tamara Grigsby (D-Milwaukee). Strong supporter of "Impartial Justice," State Senator Judy Robson (D-Beloit), was not present for the vote. Opposing "Impartial Justice" were: State Senators Alberta Darling (R-River Hills) and Luther Olsen (R-Ripon) and State Representatives Robin Vos (R-Racine) and Phil Montgomery (R-Ashwaubenon). The legislation ought to receive a final vote this Thursday! If you have not done so already (and even if you have), please contact both your State Representative and your State Senator today or tomorrow - at the latest - and strongly urge them to vote for the Impartial Justice Bill to reform Wisconsin's disgraceful State Supreme Court elections! If you are not sure who your State Representative and your State Senator are, go here. 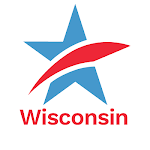 Last week in Pewaukee, CC/WI sponsored a "reform forum" at the Waukesha County Technical College entitled "How Do We Clean Up Our Disgraceful Supreme Court Elections?" Wisconsin Supreme Court Justices Ann Walsh Bradley and N. Patrick Crooks, and former Wisconsin Lieutenant Governor Margaret Farrow joined CC/WI executive director Jay Heck in a discussion about how to reform the current method of electing Supreme Court justices in Wisconsin. More than thirty citizens turned out on a cold and rainy evening to be part of the discussion. For more on the forum, go here. To see a video of the forum and what Justices Bradley and Crooks had to say about the urgent need for public financing for State Supreme Court elections, go here. The Republican death spiral started with the unintended consequences of the Watergate reforms. The party went from the main slater and funder of the campaigns of Republican candidates to a sideshow. The money got loose from what Ody Fish described as “the kinder mistress” and campaigns became entrepreneurial. The new sources of money came with strings and went directly to the more beholden candidates and the professionals who ran their campaigns. The game of keeping the party centrist and fighting off the anarchists and one-issue people who were always there but were kept on the margin by the moderate, mostly business people, who were in charge, was no longer worth the candle. The spin accelerated when the professionals who replaced the moderate, volunteer, amateurs (in quotes) introduced a segmentation-marketing strategy: the wedges. They started with the anarchists who had always been there, had always had an insatiable appetite for reducing the size and power of the public sector, and had been barking up a tree that had long ago grown to Sequoia size in this country. The professionals added the one-issue zealots to this base and partisanized the goals of repealing Roe v Wade, protecting a religious rite, and putting AK47 weapons in every closet. These objectives wholly contradicted the anarchists’ view of the world and should have been anathema to them. But they accepted these strange bedfellows as co-conspirators for reasons to which I am not privy. What was soon evident is that this new coalition was composed of people who dominate instead of assimilating. The moderates who didn’t leave of their own volition because of their distaste for this distortion of the party’s agenda were pushed out because they didn’t conform. True believers do this. This coalition, which is more notable for its volubility than its volume, starting losing elections. But they persist. As recently as last week the unholy combination got rid of a moderate who was running for an open congressional seat because she would split the Republican vote in this once-safe district and cost the coalition’s troglodytic candidate a special election. Will this radical revisionist lose this safe seat? Will that register on the wedgers if he does?